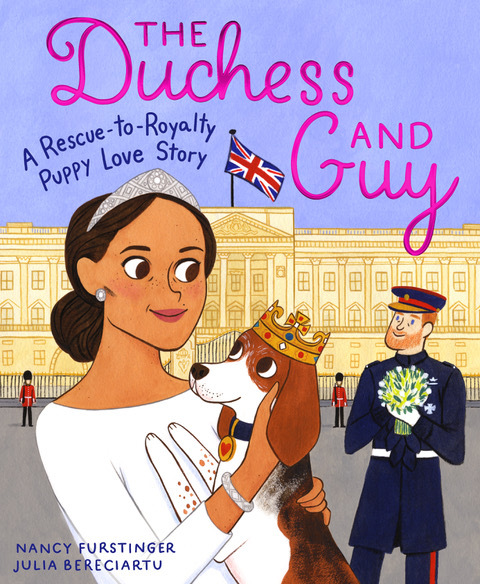 Author Nancy Furstinger has a new picture book titled, THE DUCHESS AND GUY. It will be available in bookstores on January 8th. Nancy has agreed to share a book with one lucky winner. All you have to do to get in the running is to leave a comment. Reblog, tweet, or talk about it on Facebook with a link and you will get additional chances to win. Just let me know the other things you do to share the good news, so I can put in the right amount of tickets in my basket for you. Sharing on Facebook, Twitter, reblogging really helps spread the word for a new book. Thanks for helping Nancy! My agent, John Rudolph, contacted me right before Memorial Day weekend and asked if I was a “royal watcher.” And, to his disappointment, I had to admit that I had zero interest in the royal wedding and hadn’t watched Meghan Markle and Prince Harry tie the knot (apparently everyone in his office was “obsessed”). 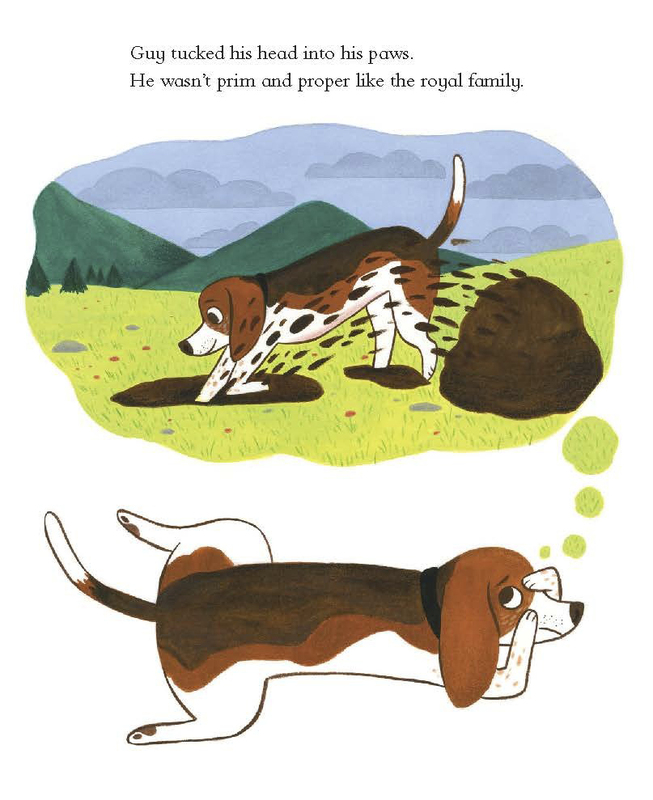 But the real reason my agent contacted me was to attach an article about Meghan’s rescued beagle, Guy, and to ask me if I wanted to “whip up a PB text pronto.” Did I ever! Rescued dogs are near and dear to my heart—I’ve written books about them, volunteer with them at my local SPCA, plus I adopted my own two: Bosco and Rosy. Was I ever! And I actually did two complete overhauls of the original manuscript. Emilia is a dream editor, not only is she also passionate about pooches–volunteering for a rescue and adopting two rescue dogs (one was featured in a video for The Dodo! )—but also her comments and edits strengthened the story. I also got to make a few art suggestions, although I knew the artist (Julia Bereciartu) would bring her own vision to the book. Right now I’m busy getting ready to launch the book (pup, er, pub date is January 15); there will be dog guests and a portion of proceeds will benefit dog rescue! And I just discovered that GUY has been selected by Barnes & Noble for a storytime event on January 19 that will take place across their stores! Nancy Furstinger has been speaking up for animals since she learned to talk, and she hasn’t shut up yet. She is the author of many books, most on her favorite topic: animals! Thank you Nancy for sharing your book and journey with us. It looks like a wonderful picture book. Keep the books coming in 2019. What a wonderful project — thank you so very much for sharing! Wishing you the best of luck and success! Aww, Sandra, I’m so glad that GUY found a happy ending to his sad “tail”! Thanks so much for featuring me and my new book, Kathy. 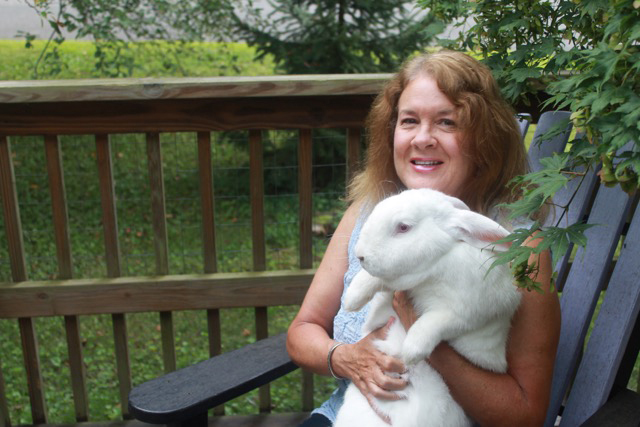 I’m super-excited about GUY’s launch–three events in one week–especially since two will be benefits for the SPCA where I volunteer with the dogs (and bunnies and guinea pigs)! I love the story behind the story as much as I love the story itself! Thank you so much, Nancy, for sharing how you came to write it. I have a book coming out in 2020 with HMH…Ann is my editor…and she’s a dream editor also. Although I’m not a ‘royal watcher’ either, dogs are near and dear to my heart…so I am anxiously awaiting your book’s launch! Many thanks, Vivian (for some reason my original comment disappeared). How exciting about your new book plus working with Ann! This is my 3rd HMH book and my 2nd editor @ this imprint–a terrific experience, as I’m sure you’ll see. And great to meet another dog lover plus to connect with you on FB! Thank you for sharing your love of animals and your wonderful story of a royal dog named Guy! I’ll be looking for this one at the bookstore! I hope you enjoy GUY’s true “tail,” Judy, and thanks for sharing! What a great story! It’s one of those stories where every element is a happy one: writer gets a story, dog gets a princess, princess gets a dog, agent gets his wish! Love it! Oh, I love the way you think, Sherry! 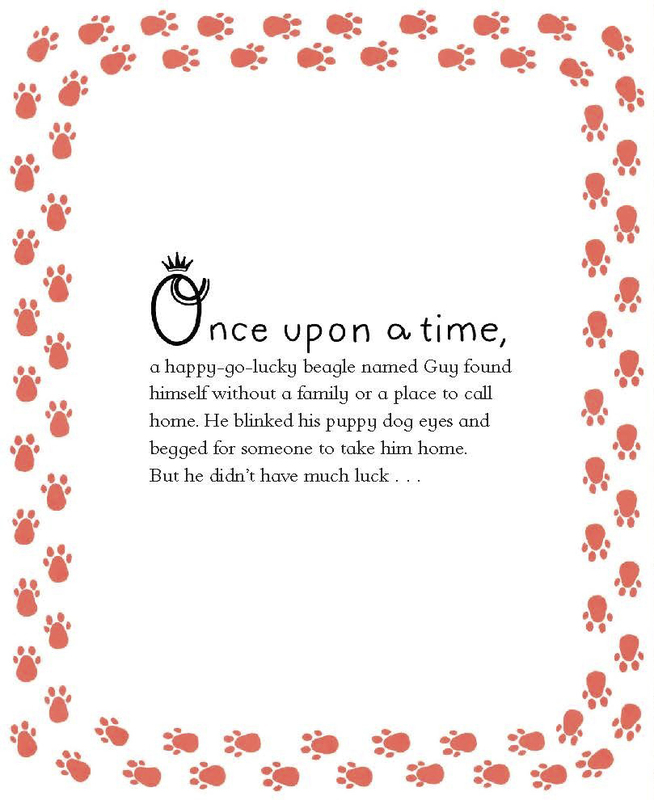 It does have happy endings all around:-) And hoping some SPCA dogs will find theirs at a few of the book launches. I love how this story came to be along with Guy’s story! Congrats! Thanks, Tina, I enjoyed sharing it with everyone! I love this! Our shelter just had a giveaway where all their animals found homes, and sadly, there’s already new residents. So happy that this issue is being focused on and in such a fun story! Super congrats on the BandN Stoytime, well definitely try to be there for our local store’s event! Furever home haha! And will do!! Thanks, Anita, I love Julia’s artwork–a great choice for the illustrator (selected by my editor). And the sub-rights sold to the UK (plus Australia)–the cover is a tad different with the duchess literally wearing her heart on her sleeve! 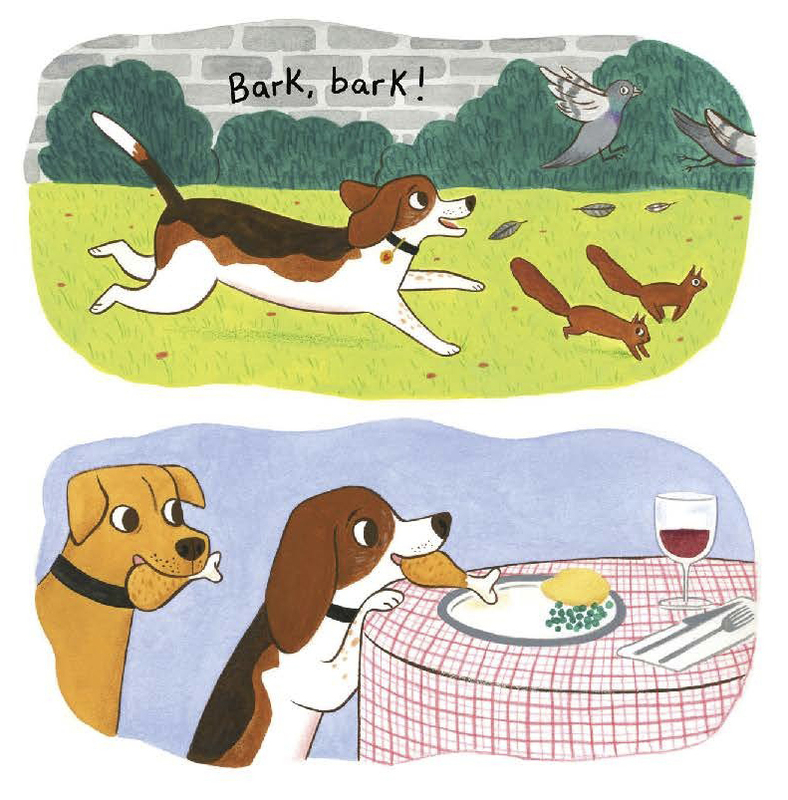 I can’t wait to read this story and to share it with all the beagle-lovers in my life! It’s sure to become a favorite at my house. I wish you all the best, Nancy. I would love a copy, to surprise my daughter, a mama to a precious beagle mix, Kona !! Awww, Kona must be adorable! Best of luck…and today is my official “book birthday”!